Norbert Szécsi looked well on his way to a second-career gold bracelet in the Event #49 $5,000 NL Hold’em tournament. The Hungarian held a 4:1 chip advantage when heads-up play started with David Miscikowski, however, the latter had no quit in him as the two players battled back and forth. 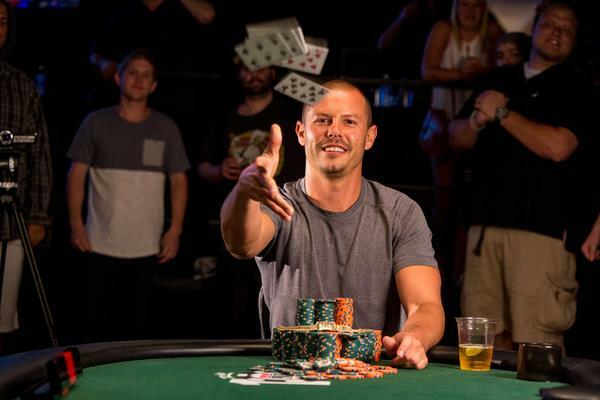 And eventually, Miscikowski did enough to overcome the odds and grab his first bracelet along with $719,707. “It feels great,” he said after beating Szécsi. “This is one of the biggest sweats I’ve ever had. It feels nice to come through.” Overall, Miscikowski topped a 696-player field to earn his first significant live tournament cash. The 28-year-old American moved to Costa Rica and spends most of his time grinding in online poker games. But he may be encouraged to play live more often after this huge victory. The 2014 WSOP has been filled with great stories, from a broke Dutch Boyd winning his third-career gold bracelet to George Danzer capturing two bracelets this summer. But Phil Ivey may have topped them all by winning the Event #50 $1,500 Eight Game Mix tournament and $167,332. The first thing that sticks out about Ivey’s recent victory is that he grabbed his 10th gold bracelet, which ties him with Doyle Brunson and Johnny Chan for second all-time. It also puts him one WSOP win closer to reaching Phil Hellmuth (13) someday. Another reason why Ivey winning Event #50 stands out so much is due to all of the bracelet bets he made prior to the summer. He and Daniel Negreanu made a large amount of even-money prop bets that one of them could win a bracelet at the 2014 WSOP. Negreanu just missed out on winning the wagers when he finished second to Paul Volpe in Event #13. Now both players can breathe a sigh of relief since Ivey has topped a field of 485 runners to win this Eight Game Mix tourney. The $1,500 NL Hold’em “Monster” turned out to be a massive success this year, drawing 7,862 entrants en route to becoming the third-largest live tournament of all-time. The Monster gave players exceptionally large starting chips stacks for a $1.5k event, which proved enticing to both pros and amateurs. France’s Hugo Pingray was of the latter variety as the student battled through the giant field and on towards a $1,327,083 top prize. Afterward, Pingray said that he’s only been playing poker for about three years. But the Frenchman looked as if he’d been playing his whole life while expertly using a final-table chip lead to his advantage. The only time he really appeared threatened was during a three-hour heads-up duel with Joseph McKeehen ($820,863). The two players had a see-saw encounter that finally ended when Pingray’s A-K combo found an ace on the board. Pingray recently took some time off of his studies to give poker a shot. And with his $1.33 million payout from the Monster, it looks like the hotel management major will have all the bankroll he needs to embark on a professional poker career.